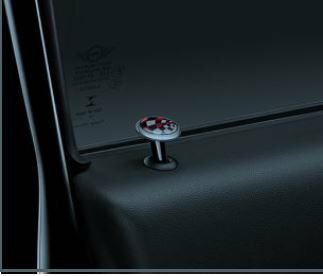 MINI COOPER Door Lock Caps/ John Cooper Works, 2 caps per package by MINI Cooper at N Online Agency. MPN: 82292358510. Hurry! Limited time offer. Offer valid only while supplies last. View More In Cabinet Locks & Straps. Door cap is injection-molded from high quality plastic. If you have any questions about this product by MINI Cooper, contact us by completing and submitting the form below. If you are looking for a specif part number, please include it with your message.